Grand Legacy at the Park is Anaheim s newest independent hotel. Formerly known as Ramada Main gate At The Park this family favorite hotel has a lot of history. 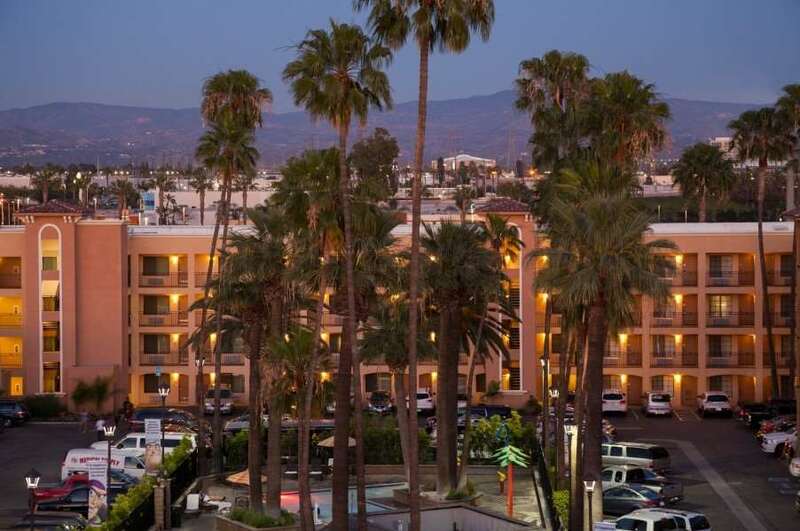 Located directly across the street from all the fun and excitement of the Disneyland Resort and one half mile from the Anaheim Convention Center. Enjoy our family-friendly heated pool with a kid splash zone and hot tub. All reservations include complimentary breakfast and Wi-Fi. All rooms come with a microwave refrigerator tea/coffee maker Tarocco toiletries flat screen HDTV with expanded channel listing. A friendly and accommodating staff looks forward to serving you. All reservations require credit card guarantee due at the time of booking. All credit cards will be authorized for one night room/taxes/fees three days prior to arrival date. Credit card will be authorized. If providing a debit card funds will be held. Due to seasonal changes the most accurate cancel Policy returned upon booking. 17MAY13- End Exceptions may apply - please see rate rules.